Is it Illegal to Not File Taxes? 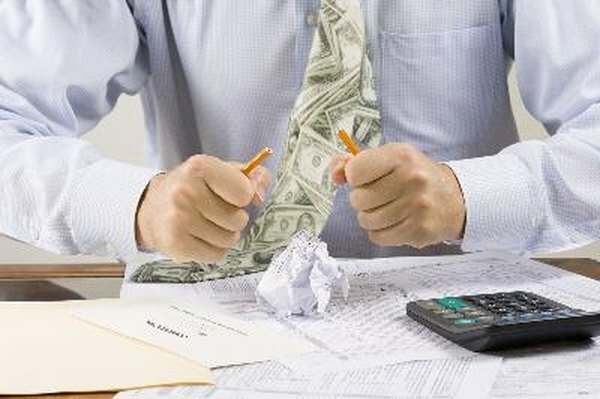 Choosing not to file taxes is usually a cause for ongoing trouble. 1. What Can the IRS Do if I Don't File? 2. Do I Have to File State Taxes If I Owe Nothing? Filing taxes every year is not something to look forward to, but it's necessary nevertheless. While not everyone needs to file taxes to be in compliance with tax codes, most adults who earn money do. The legal and monetary penalties for not filing taxes depend on your reason for not filing. Filing your taxes is mandated by the federal tax code for most adults who earn income. State tax codes have similar provisions. Certain individuals, such as children who don't earn money and can be claimed as dependents, and adults with extremely low annual incomes, are exempt from filing taxes. For them, filing is optional, although it's still a good idea. For all other individuals, failing to file taxes for any reason is a violation of the tax code. Federal and state tax codes are laws that have been approved by legislators and are enforced by tax agencies, such as the IRS for federal taxes and state agencies for state income taxes. This means that while not filing taxes is illegal, it does not necessarily subject you to criminal penalties. Tax codes include provisions for fines and monetary penalties when individuals don't file their taxes or file but fail to pay the full amount they owe. Tax evasion is a criminal offense that occurs when an individual fails to file taxes despite knowing that there is a requirement to file. People who file their taxes late, can't afford to pay the full amount or make mistakes and report incorrect information are in violation of tax codes but are not guilty of tax evasion. Tax evasion can also occur when you file your taxes but pay less than you know you owe. Even if you aren't required to file a tax return, you might still save money by filing. Certain credits and refunds may apply even if you didn't make enough money to meet the minimum filing requirement. If you owe money but can't afford to pay, you should file your taxes and request an alternative payment schedule, which usually means making payments over time and paying interest on top of the amount you initially owe. When in doubt, file a tax return to ensure that you're in compliance or consult a tax professional. IRS.gov: Do I Have to File a Tax Return?